WELCOME - Come and grow with us! 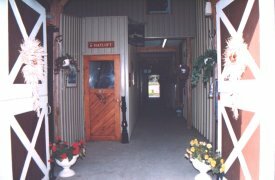 A full service breeding and equine foundation training facility, as well as an equine educational centre. Owners and breeders of champion Morgan horses for a quarter century. We hope you enjoy your visit! The door is always open and you are welcome to come in, pull up a chair and sit a spell.